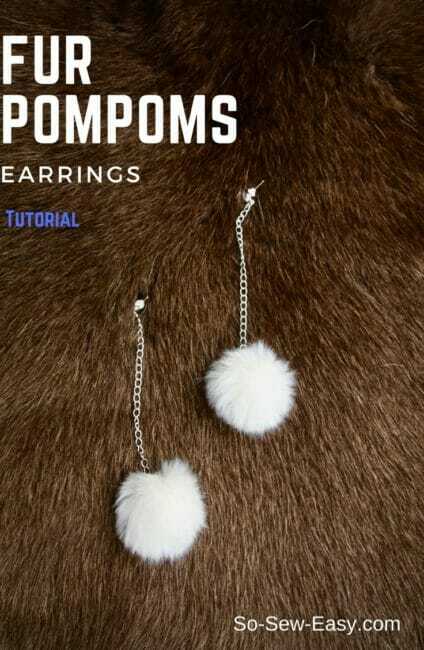 This is an easy tutorial and a quick project on how to make fur pompom earrings. I love to learn while making, so I thought you might enjoy an easy way to make pompoms. 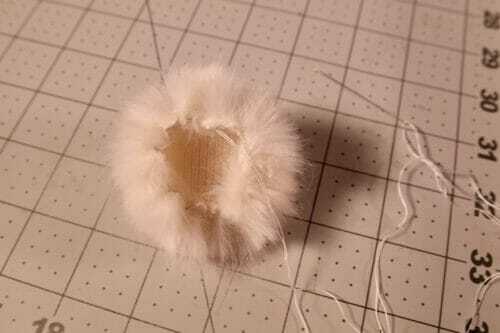 In my post last week I used four fur pompoms attached to a piece of string to lace up the fur boots. It is the same technique I used when I made the fur scarf with pompom. This time, however, I will show you how to make a pair of lovely earrings to stuff your stocking. This is also a great way to use your fur scraps. I don't know about you, but faux fur is so expensive I feel terrible throwing even a few inches away. 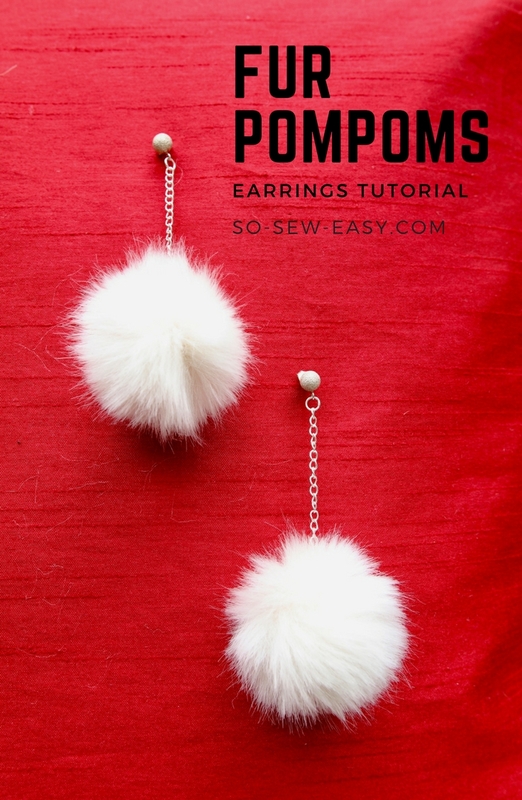 As it turns out, you only need a couple of one and a half inch squares of scrap to accomplish this pair of fur pompoms earrings. The first thing you need to do is to prepare your chain. If you bought the extension chains you will not need to do anything since they come with a jump ring and either a heart or a lobster claw. Mine has a small heart but if yours have a lobster claw and if you do not like it just stick it inside the fur pompoms and no one will be able to see it. 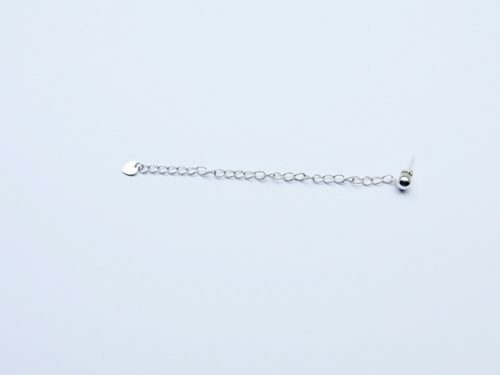 Attach the chain to the earring stud ring. Open the jump ring away from you, never left to right. You should end up with something like this. 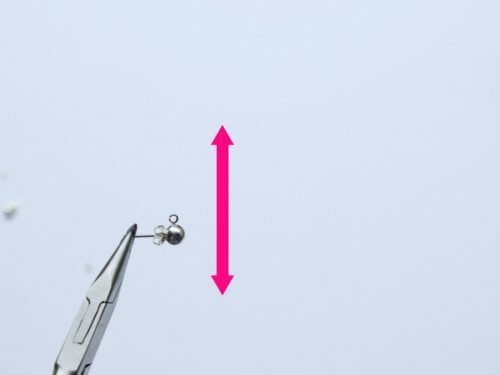 Trace a circle that is 1.5 to 2″ in diameter. I am using a 1.5″ diameter bottle top. Cut the fur following the technique described in this tutorial. You will need to read this article to achieve success in making any fur project. Thread your needle with at least 14″ of the thread. Tie a knot at the end. 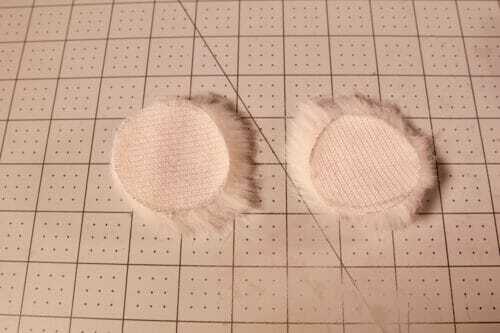 Use a running stitch around the circle 1/8″ from the edge. Pull the thread making the circle close. 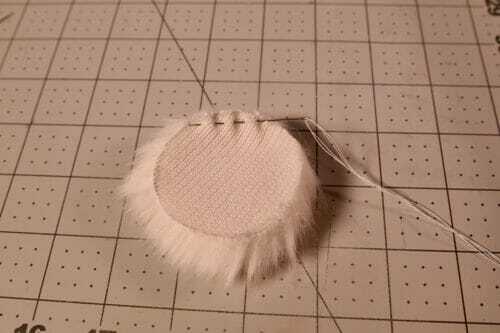 Place a small amount of polyester filling, plastic bag scraps or cotton ball inside the circle before you close it up to make the stuffing of the pompom. Pull the thread closing the fur pompom and sew a couple of stitches. Pass the needle through the jump ring or the link before the heart. 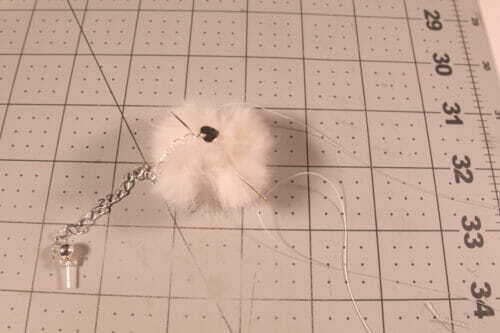 Sew the jump ring securing it to the top of the fur pompom. (Pardon me, but my mat it is looking worse for wear..) Below is what you should have and all it took was 15 minutes to make this pair of earrings. Here's a pinnable summary of these simple instructions. I live in the Arctic. Everyone here wears real fur. You would die of exposure in the winter without it. It is hunted traditionally, the animals are honored and nothing goes to waste. To the point of having fridge magnets with fur trim! Since I read this, I have been on a faux fur pom pom making spree! Finally getting my scrap fur pile down. All different sizes. My daughter and her friends love them. REALLY Fur, when all these petitions go around, showing us, how ‘fur’ is from innocent animals, that are tortured and slaughtered. Sorry but this is a definite no-go. Hi Monique, no need to panic. We only ever write about sewing with faux fur. 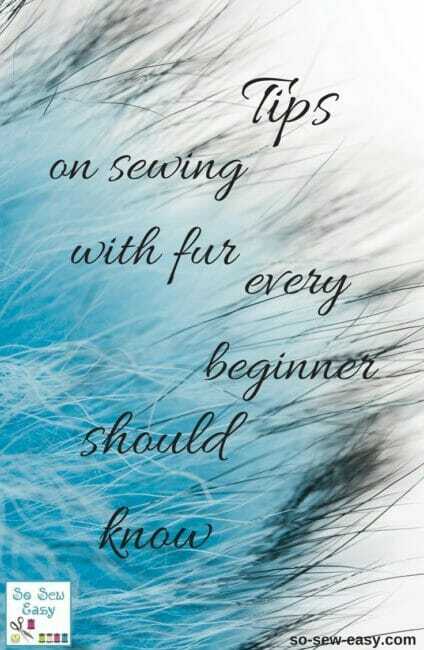 I guess our regular readers would have read so much about sewing with faux fur that we don’t repeat this every time. We share your views on real fur. Thanks in any case for the feedback and kind regards.